Can you see the insect on the tree bark or the smaller ones on the leaf? And if you look closer, there are also a couple of tiny beetles on the base of the leaf! 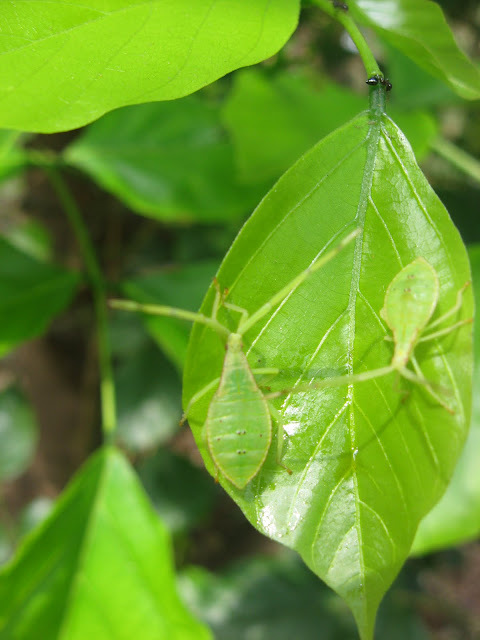 Such beautiful examples of camouflage, just yards apart! 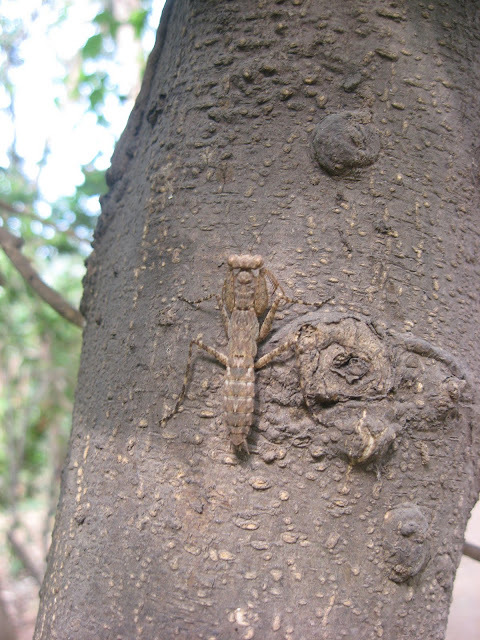 We saw these insects on our recent visit to the Maharashtra Nature Park to attend the Urban Leaves Summer Camp.